Move into the future in style! 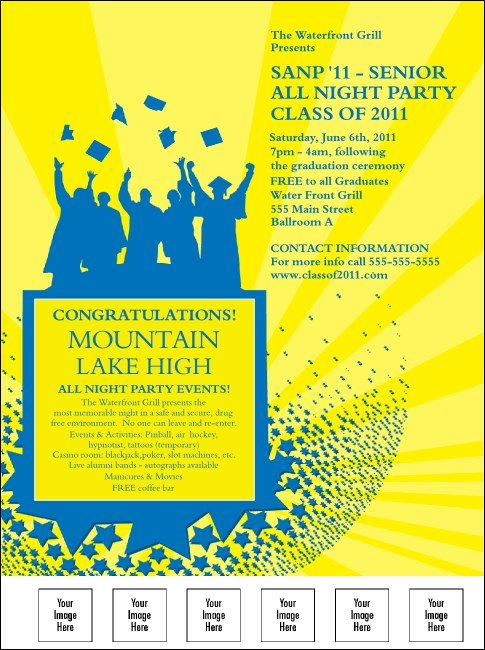 Throw a trendy graduation open house or party with the Bright Ideas Graduation Flyer. Featuring symbols of grads' bright future days, this hip flyer has a hopeful feel and has plenty of space for your custom information. TicketPrinting.com has Event Kits for any occasion.